Our Noel design can be made either as a dress or top. If fact it could be converted back and forth with a quick rip of a seam. Today the topic is the Noel as a top / tunic. 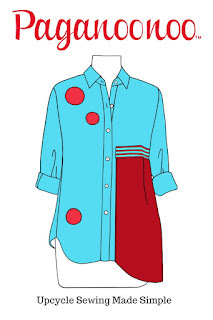 3 to 4 dress shirts is all it takes to create this loose fitting asymmetric design. 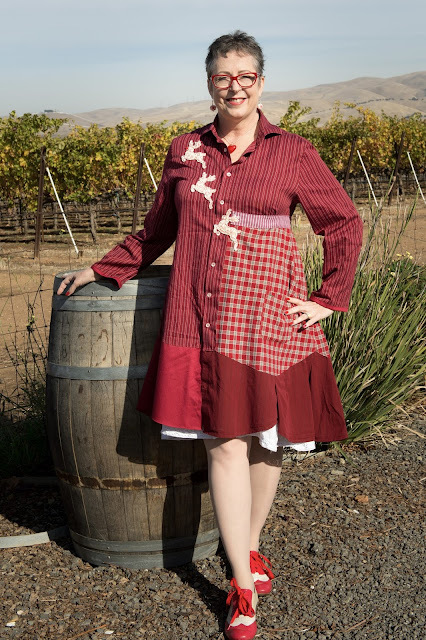 … This post is about a upcycled dress design under development. Continuing from the first “Noel” post, here is prototype #2. 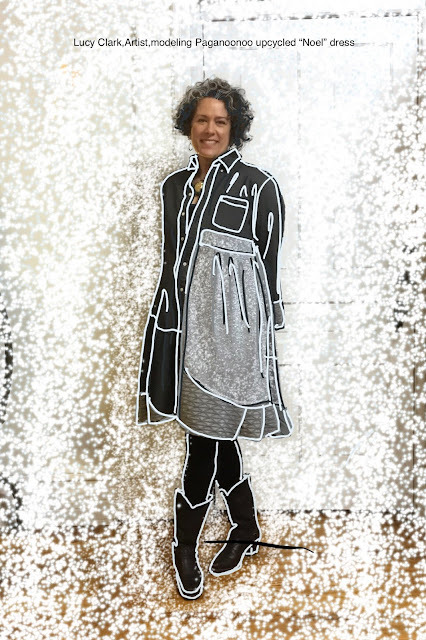 BLOG POST: Version 3 of the “Noel” dress design, New Years Eve Glitter! For those of you who do not already know me, I’m Michelle Paganini and I run an upcycled fashion design company, Paganoonoo. This post is about a upcycled dress design under development. For those of you who do not already know me, I’m Michelle Paganini and I run an upcycled fashion design company, Paganoonoo. 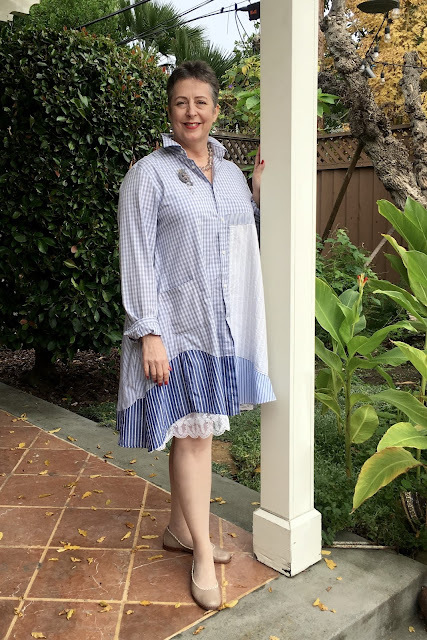 Being a Jill-of-all trades, I not only develop upcycled fashion designs and write patterns/instructions, I handle most other aspects of the business too.